Our company persists in a steady stand of trustworthiness in gate repair services in California. We include services such as emergency gate repair, general gate inspection, and many more. Contact us for the best services. 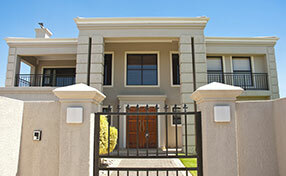 Skilled and reliable service personnel offering top notch electric gate repair services. We are a driveway gate contractor who is all about our customers. 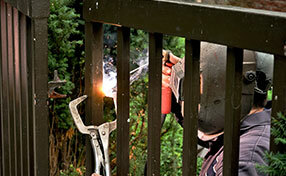 Our Gate Repair Redondo Beach is a company that truly believes that our customers come first. This is why we always give them 100% satisfaction with high quality work. We started a 24/7 company offering emergency repair service so that our customers can reach us ANYTIME they need us. Whether you need iron work done or you need a wrought iron fence installed we are the driveway gate company for you. Gate service is very important for the security of your premises and naturally would want to enjoy the outdoors and other attractions in the community without any doubt regarding your family’s safety and protection. That’s why our gate company invests in the capabilities of our technicians by keeping them well trained and knowledgeable, especially in relation to recent developments in the field. Whether you need an upgrade or an entirely new residential gate installation, rely upon our dependability and quick response to service calls. We promptly arrive to attend to your immediate concerns and keep gate security in tip top shape. One of the many services that we at Gate Repair Redondo Beach offers our customers is our driveway gate opener service. Driveway gate openers are used on your driveway gates. They can open and shut your gate without you ever leaving your vehicle. We not only supply and install these openers we also will do troubleshooting and repair them quickly and efficiently. We can also handle things like your driveway gate remote and your sensors. Below is a list of driveway gate openers that we supply. Have you ever seen wrought iron fences? They are beautiful and are a great decorative item for any residential or commercial property. Our wrought iron fenced in Redondo Beach are custom made fences. This means the block pillars for the fence, the picket fence and even the ornamental work is all designed by you, the customer. In case that you are looking for a reliable fence contractor, you should count on our services: we do fence repair and fence installation at any time of the day. We are also a driveway gate company that does all kinds of iron work including these below. Our custom made gates could be overhead gates, swing gates, sliding gates, wrought iron gates, iron gates custom made pedestrian gates, walk throw gates, driveway gates, parking garage gates, electric gates, automatic driveway gates or barrier arm gates. All you have to do is call us and tell us if you need a residential or commercial custom made gate and we will help you with it from start to finish. If a driveway gate contractor tells you that they do not do gate repair and install then they are not much of a company. Our Gate Repair Redondo Beach prides ourselves in all of the repairs and new installations that we can do. Some of these are Repair and install all types of gate openers and devices, new installations, broken gate repairs, hinges welding, post repair, broken hinge repair gate track repair, gate wheels repair, safety gate sensor repair install, exit loop installation and repair, install gate motor on existing gate and residential & commercial broken gate spring repair, spring replacements. How is that for a list of driveway gate services? Since 1948, DoorKing also known as DKS, has been manufacturing commercial and residential gate openers and access control systems. The company is based in Inglewood, California, and its products are sold throughout the United States. They are among the leading innovators in the industry. DoorKing was the first manufacturer to add electronic magnetic limits and microprocessors to their electric gate operators. They were also the first to integrate a fail-safe entrapment prevention system into these devices. The brand's range of gate openers includes slide, swing and overhead models. There are models for column mounting and for underground installation. The specially designed solar-powered models allow for achieving a higher level of energy efficiency. There are different horsepower options available with the units. The range of accessories includes loops and loop detectors, control stations, lock boxes and devices for entrapment prevention. Power inverters and battery backup systems are available as well. Our welding services can be useful in times of trouble and in times of gate upgrade. If you want to add ornamental parts and make some aesthetic differentiations, call us to weld steel parts. If you discovered a loose rail, contact us for immediate repair. Some steel gate parts are easily fixed with proper welding. Weak and rotten parts, which might also be dangerous, are often repaired with welding repairs. Let us know if you have such problems. Our technicians are experienced and can tell you what must be done and also give you an estimate. We excel in rail and hinge welding repair and promise to be there on time, do an excellent work and meet your standards. Are electric Gates safe for Children? 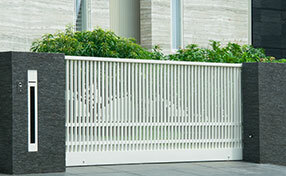 Does your security gate pose any risks of injury to your children at home? If you are worried about this, here are some ways to ensure that accidents never happen.